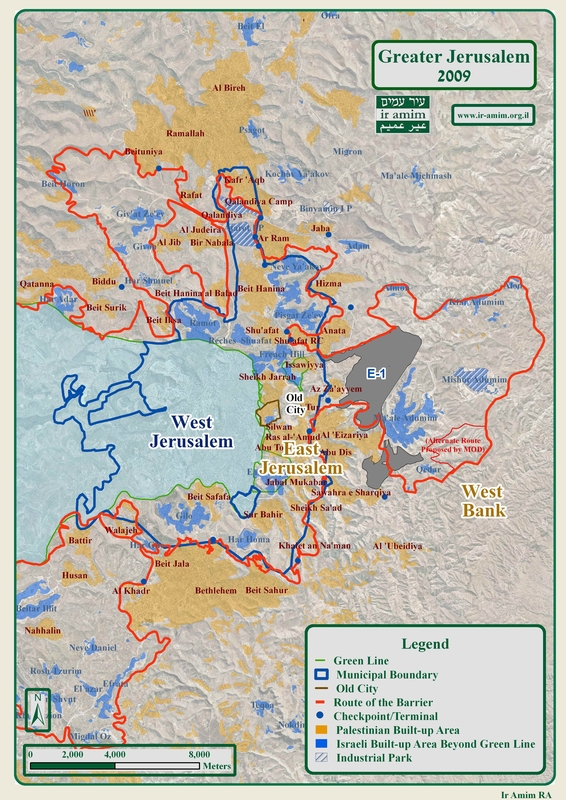 This posting is the first in a series regarding the water and sanitation crisis in the Israeli government’s occupation of the Palestinian territories, particularly East Jerusalem and the West Bank. For more information about this crisis, click here. 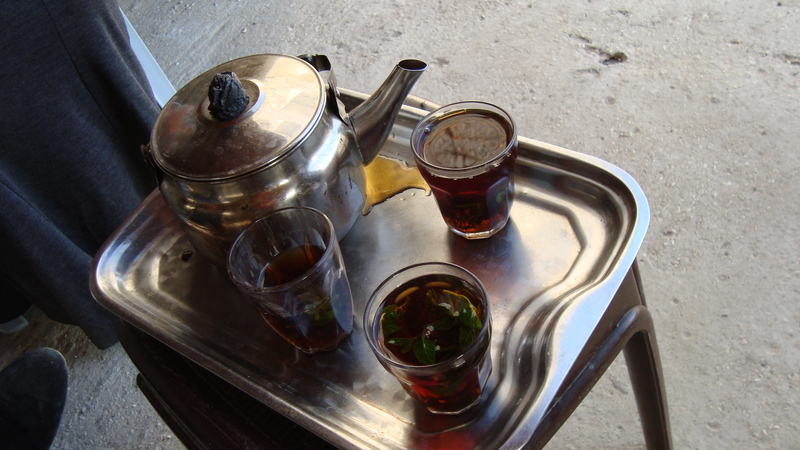 I’d heard of Arabic hospitality and the two women, in the EAPPI Jerusalem Team (#37) before us, described that we would be invited to tea. On this early December day, the wind was howling. On a blue bus, we passed through a checkpoint (in the Israeli separation barrier) leaving East Jerusalem, wound our way down many hundreds of metres into a valley on the way to the Dead Sea. But turned up again, climbing under the ridge of the Israeli settlement, Ma’ale Adumim, past the traffic circle, and into Al Ezariya or Bethany, the place people associate with Lazarus. 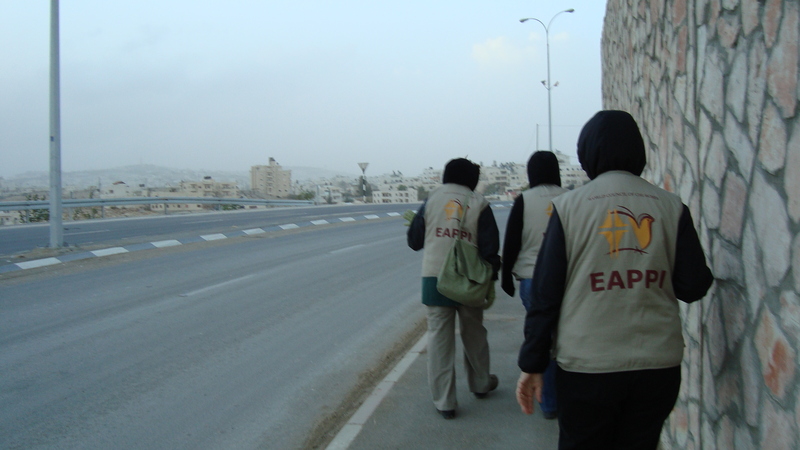 My teammate and I, two of the newbies in Jerusalem Team 38, followed our Ecumenical-Accompanier (EA) mentors off the bus and then began the 20-minute trek to the Bedouin community on the edge of town. The sand was blowing so hard, I had no idea of the incredible view toward the Dead Sea until weeks later. I also had no idea of the incredibly bad black, acrid air that could hover over this place from the burning of the Jerusalem municipal garbage. All that we could see on that first afternoon was a tall traffic sign bent to the ground by the dry, cold wind. Our host greeted us outside in the cement, aluminum-roofed shelter where she, the EAs, and her young nieces and nephews had gathered weekly through the fall. We didn’t last long there with the wind. She invited us inside to the outer room of their home. We kept our winter layers on, as we would do inside and out for much of the winter. And so began one part of our team duties that I grew to love in particular. Our host is about 26. She has two younger sisters, aged 20 and 16. They are three among many brothers living with their mother and extended family. 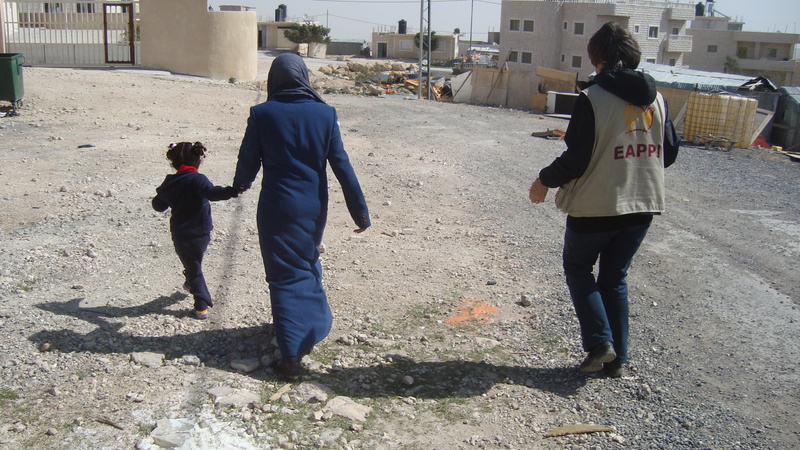 In that Bedouin community, women stop socializing outside of the home in their teens. It is a conservative place. On a dry wind-swept hill. Our host described her family’s migration story over several generations. They are an internally displaced people due to the Israeli occupation of Palestine. Initially, they were forced out of their Bedouin, nomadic life from the Negev Desert. They moved to the area that became the massive, Israeli settlement of Ma’ale Adumim. Then, they were forced again to move and were unceremoniously dumped with their household stuffed into a long shipping container in the middle of winter on land loaned by the Palestinian community of Abu Dis. This Bedouin community has a 49-year lease and our host’s family has built a sturdy home, yet to be finished; in relative terms, they are lucky. Our host is unusual in that her father supported her interest in obtaining a university degree. The photos of the women and teen girls who are now dear to my heart show only their backs and hands. Taking photos of their faces is not permitted in this community. Weekly, we would arrive in time for tea with our host, her sisters, and little ones. Fresh sage would be put into our glasses. We accepted this hospitality – as quickly as we drank the tea, our glasses would be re-filled. When our host or her sister had finished their tea, four and five-year old nieces might pour a bit more into those same glasses and drink quickly. I never questioned why. After tea, our host would guide us to the top of the hill to the community caravan. Then we’d launch into a high-spirited hour of English conversation with a merry circle of 13-16 year old girls. Such an opportunity for them – given that they only see each other in school and on Wednesday afternoons in the caravan. The Israeli government has been controlling and restricting Palestinian access to water since 1967. In the West Bank, Palestinians may have the means to reach water in the ground but they are not allowed to do so. Yet, according to Article 43 of the Hague Convention, “Israel, as an occupying power over both the West Bank and the Gaza Strip, has the ultimate responsibility to as far as possible ensure that public order and safety are upheld in the territory it occupies, including securing the welfare of the population.” (Diakonia, 30 Apr. 2011) For human-rights reasons, an end to the Israeli occupation of Palestine is needed. This posting, “Thirsting for Peace – Hospitality”, and the next few postings on this blog are drawn from a spiritual gathering on 1 May 2011 at Southminster-Steinhauer United Church, Edmonton, Alberta, Canada. For an audio version of this series of postings, please click here. This is the voice of a former Israeli soldier, standing against the Israeli government’s occupation of Palestine. To hear his story, click here for a short, two-minute video. All this week, the Israeli organization, “Breaking the Silence” will be releasing recent testimonies of Israeli soldiers talking about operations in the occupied Palestinian territories (i.e., East Jerusalem, the West Bank, and Gaza). In short videos, the former soldiers explain why they are choosing to break the silence.